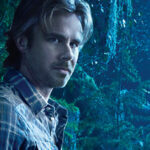 The Essential Supernatural: On the Road with Sam and Dean Winchester is a gift to every Supernatural fan and I am appreciative to Nicholas Knight and Eric Kripke for providing it. 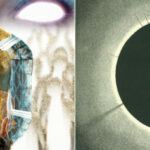 This massive coffee table book is published by Insight Editions and is unlike any I’ve ever seen before. The almost 200 pages of information, pictures, and background would be enough to justify the price, but they did not stop there. Instead, they gave us what is almost like a treasure hunt as you read, making the experience that much more enjoyable. With a foreword by Eric Kripke, in his typical humorous approach, you’ll begin the journey into all things Winchester. 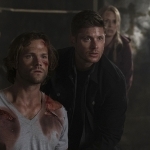 The book is separated into eight seasons, which brings us up to current, and traces the journey of Sam and Dean from when they were simple hunters trying to find their missing father to the experienced hunters they are today, having gone through love, loss, death, and the end of the world on multiple occasions. Interspersed, as well, are helpful hints if you want to be a hunter-in-training, in-depth information into the actors who bring our favorite characters to life, and a mythology that has literally spanned Heaven and Hell. 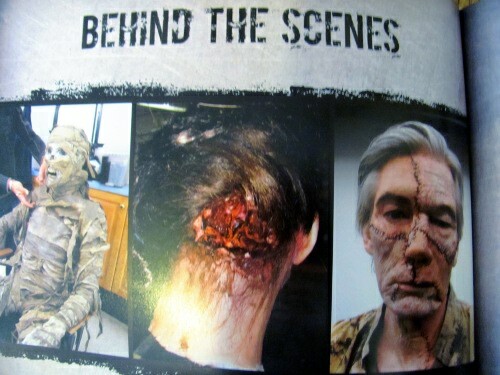 Fans of the show, or those familiar with the season guides, will be well accustomed to the normal amount of insider information, set pictures, and trivia that you’d normally get with these types of books. 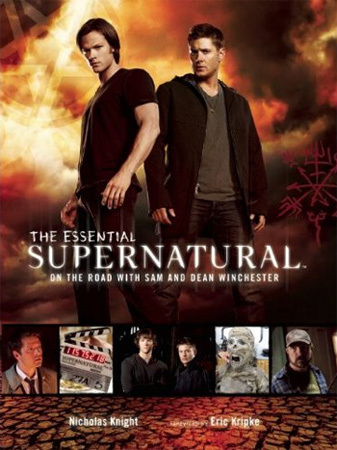 The Essential Supernatural: On the Road with Sam and Dean Winchester takes that up to a thousand. Each season is broken down into the story, the leading guest characters, and mythology of the arc, with added features such as in-depth looks at the art department, props, set decoration, and much more. But there’s more! There are gifts stuck in the pages. 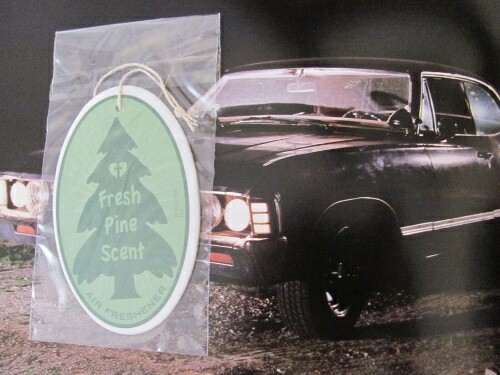 Postcards, posters, a map of the Winchesters’ journey, stickers, hunter guides, and (my favorite) a pine air freshener for the Impala. It’s like a celebration with every chapter. I was blown away with every page turn. The love of this show, of all the people involved from writers and producers to actors and fans, it all shines through in this book. Buy it because you’re a fan of the show. Buy it because of the abundance of gifts tucked inside. Buy it because it’s Tuesday (“Pig in a poke!”). Whatever the reason, just buy it. You won’t be disappointed. 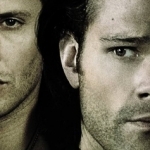 My review of The Essential Supernatural book is up on @Fandomania http://t.co/T9FvhrPZ If I could give this above a 5/5, I would. WONDERFUL!